Even though I haven't read any of Neta Jackson's Yada Yada Sisters, I did read the first book in this series, so I was thrilled at the chance to read and review the second book in the SouledOut Sisters. This one is another winner! Starting up where "Stand By Me" left off, Kat Davies and her friends have welcomed Rochelle and Conny (the homeless mother and son that God brought into their lives) into their apartment and lives. But, things are never as easy as they should be. With new people in the household, relationships change and have to be re-defined. Nick works toward being a pastor, Kat continues to volunteer at the summer tutoring program while applying for a teaching position, and Bree keeps up with her large family while working at the coffee shop. I love that this series challenges people to get involved in their community and reach out to those around you. After losing everything to the very people her family trusted, Lady Eliza Sumner undertakes the responsibility to recover her stolen inheritance. Shedding her title to be better able to play the sleuth, Eliza heads towards America and working as a governess for the Watson's. A hilarious comedy of errors and propriety ensues as Eliza goes on the adventure of a lifetime. I did like that this novel wasn't solely about romance. The story was busy enough that the romance complimented it, rather than took over. Another good element is that Eliza's faith is tested and she must learn that sometimes God allows us to go through valley's in order to better experience the mountain tops. That sometimes being in the center of God's plan is to lose all you think you love. This is one of my all time favorite Christmas songs! When Casting Crowns put it on their Christmas cd, I couldn't of been more thrilled. It is such a great reminder that, even when things look bleak, when hate is strong in the world, when there doesn't seem to be peace in this world, that God has everything under control. He offers us hope and peace, joy in times of sorrow. We may not know why things happen in this life time, but His arms are open to offer comfort. The world will revolve from night to day. The Civil War cost Ridley Cooper more, in some ways, then it did many others. Branded as a traitor by members of his own family, he decides to turn his back on the Southern way of life and fight for the Unions. Sent on a mission to uncover a Confederate General's thoroughbreds, Ridley makes a choice that will change the course of his future. Years later, Ridley shows up at Belle Meade plantation to learn how to handle horses before heading out west to forget the war. Things never go as planned and Ridley must learn that God has a plan for him. 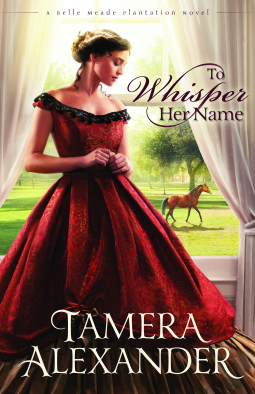 I enjoyed this tale, as it had a lot going on with the characters and dealt with the heartache of rebuilding the United States after civil war. If you are looking for a good, engrossing read, this is it! 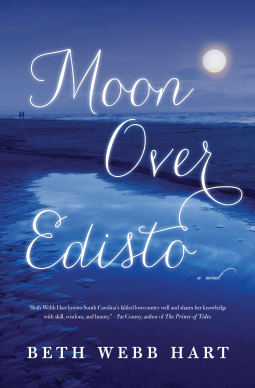 "Moon over Edisto" is the story of a beautifully flawed family who must find forgiveness and grace they didn't realize they need after one person's choice tears their family apart. Julia Bennett chooses to deal with the tragedy of her college years by hiding in NYC, living life as a professor of art, enjoying acclaim that other artists only dream of. Her perfectly crafted world is threatened when her old roommate, and part of the cause of the tragedy, shows up out of the blue with a request for Julia to watch her three kids while she goes in for surgery to remove cancer from her lung. Does Julia have the courage to face her past and move on in order to fully live in the present? I decided to review this book on a whim, and I am so glad I did! It is one of the best books I have read this year.